Anti Dandruff Shampoo is infused with Thyme Organic Extract + Organic Citric Acid, rich in Vitamin A & C, eliminates impurities and is SLS Free, SLES Free, Paraben Free, Mineral Oil Free, produced using very pure de-ionized water and controls excessive sebaceous secretion without drying the scalp. 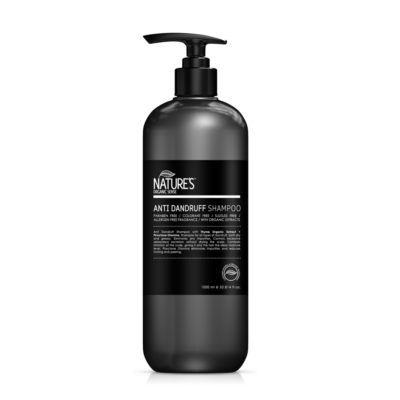 Combats irritation of the scalp, giving it and the hair the ideal moisture level. Contains Piroctone Olamine which reduces scalp itching and peeling. *Reduction of Cocamide DEA will cause the product liquid to become less viscous.